You can use Japan Connected-free Wi-Fi in the following areas! 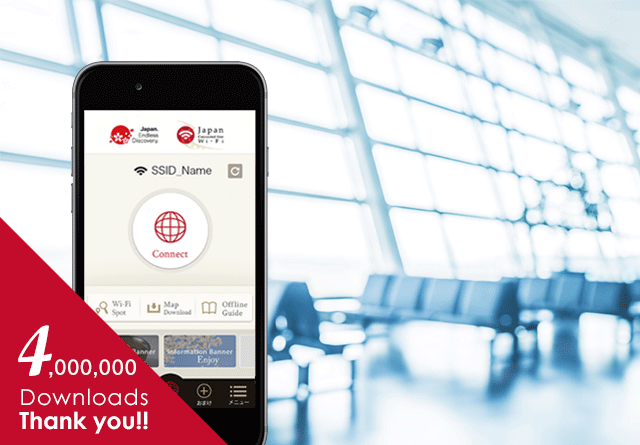 Some service on the Japan Connected-free Wi-Fi app was disabled due to an error, but service is now restored. We sincerely apologize for the inconvenience we caused. Please update to the latest app. ・Added support for Italian and Russian! ・The "Okinawa Wi-Fi Connection Tool" has been added to the "Offline Guide"! ・The following areas have been added to the "Offline Map"! ・You can use Japan Connected-free Wi-Fi in the following areas from today! You can use Japan Connected-free Wi-Fi in the following areas from today! Copyright © NTT Broadband Platform, Inc. All Rights Reserved.